Styled with gonnerman pant . 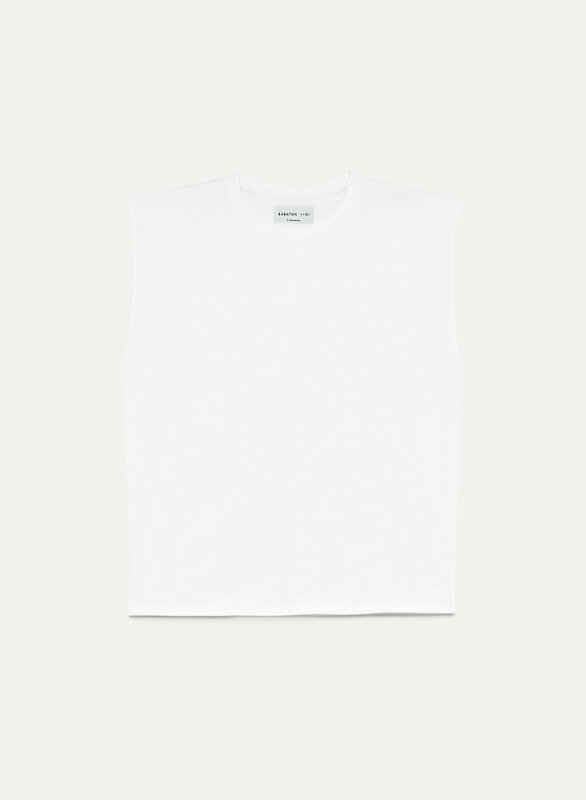 This t-shirt is tailored from an elevated heavyweight cotton that has a structured feel. The boxy silhouette and cap-sleeve detail makes for an ultra-minimalist feel.